If you are one of those people that has a deep desire to become empowered, informed and educated, then learning will be part of your life’s journey. The answer to that question can become a thesis, so I will try to keep it short and sweet. Get in tune with your child. Notice when they are acting out and seem cranky or their sleep seems off. Most importantly pay attention to their digestive system and regularity. I have noticed that headaches or an irregular elimination may be the indicator that imbalance is occurring in the body and that sickness may be lurking in the near future. This is a time to pull out all of your herbal allies. I tend to use an elderberry concentrate tea, probiotics, echinacea tinture or pure & authentic essential oils. 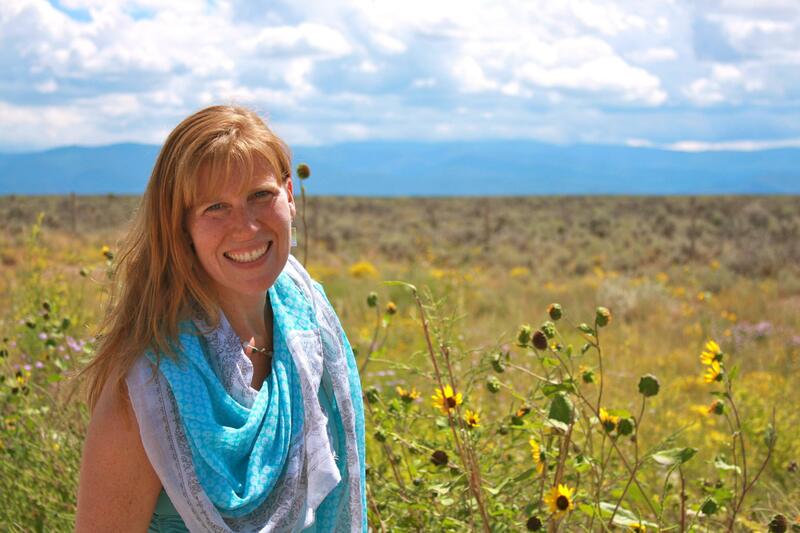 Join the webinar tonight and learn how to winterize your child’s well being. Learn the preventative herbal measures needed to keep your child healthy through the colder months. 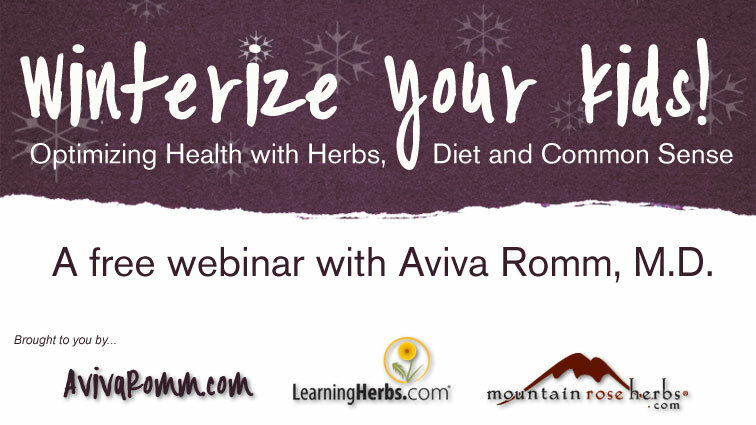 If you missed the webinar with Dr. Aviva Romm you can sign up for her newsletter which is packed with tips for raising healthy children. I have her eBook, Herbs for Kids. I am willing to email it to you if you send me a request. Or you can purchase one of her books that are listed on her website. Just visit www.avivaromm.com. Through Dr. Romm, you will learn how and when to use botanicals vs. medication. Her website provides various recipes for cough syrups and herbal teas that support the upper respiratory tract and help the body manage various coughs. zinc, vitamin C, vitamin D, garlic honey lemonade and suggestions for getting essential fatty acids through different foods. Her website will give you recipes for supporting the upper respiratory tract and coughs using herbs such as; lemon balm, chamomile, elder flowers, licorice, anise and various other amazing botanicals. The body constantly gives off cues as to what is going on – if we are too distracted or too busy to notice, then the issues may escalate into more serious problems. Herbalism is a gift from the Earth and we can all participate in using these precious herbs in someway. Most likely you are already using herbs in your daily cooking. These herbs offer so much more than flavor or scent – many of them are packed with nutrient dense components and are immune system supportive. Keeping a fresh stock of your dried herbs will keep the potency and efficacy intact. Do to so, buy your herbs in the bulk section of the health food store and store them in little glass containers. Or better yet, plant your own herb garden. Have your child help with this and they will appreciate watching their efforts sprout through the dirt. All children benefit from having a close relationship with nature and from it’s ancient roots in herbalism. I see the transformation with my own child when we are in the woods and she is nestled next to a moss covered fallen tree. All layers of her being transform into pureness and her protective outer layer melts away into the Earth. Herbs can be used for for childhood ailments such as colds, teething, colic and various other illnesses that children often contract. Just like anything, there is a time and place for herbalism, and a time to seek medical help. Typically, when I first notice an ailment in myself or my daughter I resort immediately to herbal remedies in the form of tincture, essential oils, or herbal teas. Often these remedies do nip the illness in the bud. It is wise to have a good relationship with a pediatrician who is familiar with your child when he or she is well. Then, should something serious come up you can bring your child to receive the medical attention that is needed. I have a couple of amazing resources to offer you.